You’ll have less redness. Smoking increases inflammation of the skin by generating free radicals and causing vascular injury, which the body then attempts to repair. And the same goes for frequent heavy exposure to secondhand smoke. The good news? Quit, and inflammatory damage from smoking may be reversible. The Feinstein Institute for Medical Research in Manhasset, New York, found that weeks after quitting smoking, women showed reductions in several markers of inflammation, especially those linked with heart disease. You’ll lessen the appearance of dark circles. There’s still no miracle cure for dark undereye circles, but one thing that makes them worse is smoking, among other things. If you don’t have dark circles, you’ll notice fresher-looking eyes in general. The toxins in cigarette smoke damage the delicate tissue around them. You’ll have a smoother complexion. Cigarettes do absolutely nothing to make you look younger—quite the opposite. The longer a woman smokes, the older she looks, with deeper and more plentiful wrinkles and more uneven skin tone, not to mention an overall lack of radiance. According to research analysis, every ten years of smoking resulted in a perceived extra 2.5 years of age. You’ll have whiter teeth and nails. We all know smoking yellows your teeth, causes bad breath, and, if you smoke enough, stains your nails as well. All of this can be reversed…if you stop, that is. You’ll feel more self-confident. Quitting won’t just improve your complexion, hair, and teeth, it will also improve how you feel about yourself on the inside. A 2006 study published in the American Journal of Health Behavior found that female college students who smoked had a more negative body image than those who didn’t—and the more they smoked, the worse they felt about themselves. News Flash!Over 50% of you don’t clean your make up brushes. Why is this important? 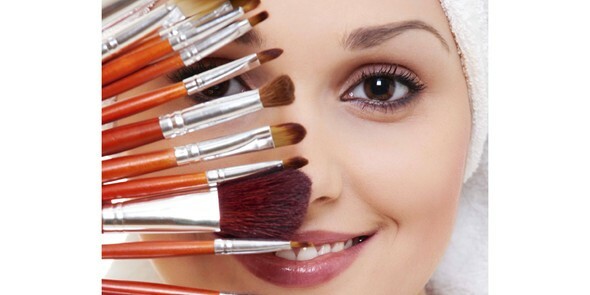 With regular use brushes build up with dirt, skin cells, and more importantly BACTERIA! Avoid bringing on blemishes by following these simple steps. Step 1: With the brush pointing downward, wet just the hairs under a faucet with warm water with the hairs pointing downwards to prevent water from entering the handle.Step 2: Using a mild shampoo, liquid hand soap, or specially formulated brush soap, massage the soap with your fingers and apply to the hairs from the base to hair tip. With the brush pointing downward, gently squeeze the hairs beginning at the base and moving toward the hair tips over; repeat, adding a little water each time until the water runs clear. 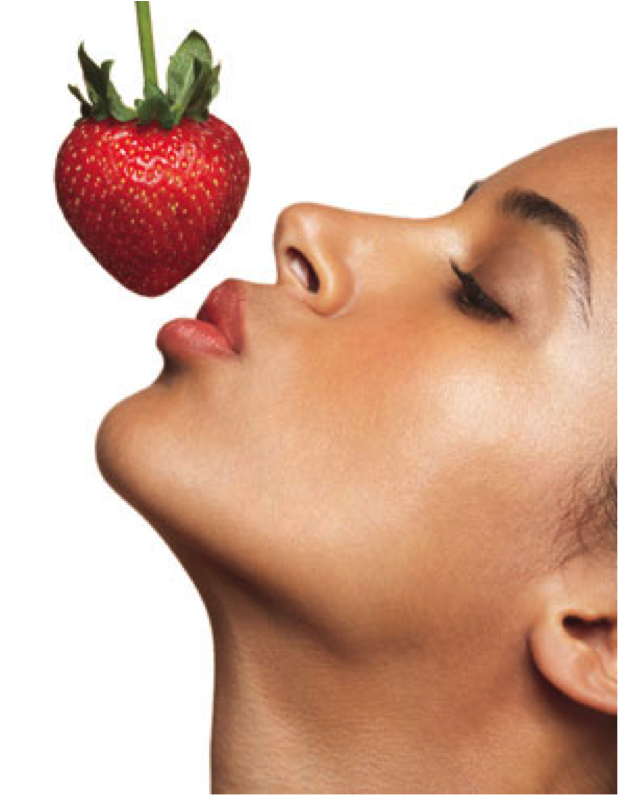 New research solidifies claims that your diet might be the culprit for your blemishes and break outs. It’s been suggested that we need to become beautiful starting from the inside. While we take great care of the top layers of our skin (products generally penetrate the top 20%) in order to see the amazing results we crave we need to work from the inside out. We’ve compiled this Dermatologist backed diet into 8 easy steps on eating your way to clearer skin. 1) Steer clear of the ‘white food family’ – This would include white bread, cookies, cakes, and crackers. Why? Processed foods like the ones listed above digest too quickly. This leads to insulin ( a hormone that increases levels of acne-causing androgens like testosterone)spikes and a chemical called IGF-1 to be released. Both lead to clogged pores and excess oil production. 2) Eat more fiber-rich carbs – Up you intake of brown rice, whole-grain pasta, sweet potatoes, and lentils.We’ve all heard this one before, but maybe we didn’t realize it might be causing our break-out burdens. 3) Cut down on dairy – Try to avoid milk, cheese, and ice cream. Why? Did you know that almost half of all dairy cows in the US are pregnant? You may be thinking,’Why do I care?’ the answer is simple. Due to this fun little fact it’s known that the milk we drink regularly is full of growth hormones , which experts have linked to acne-causing testosterone levels. Try Almond milk in your cereal, or if you must fix your craving for dairy opt for yogurt. 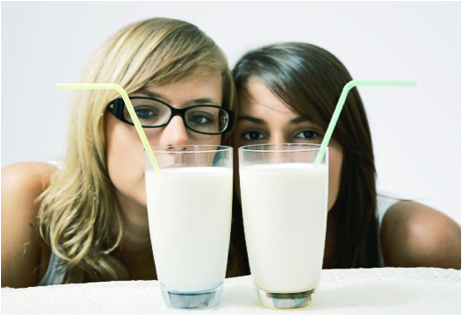 The fermentation process may reduce some of the hormones that can trigger your acne. 4) Avoid processed meats- Think hotdogs. Why? They contain inflammatory omega-6 fats (not the good omega-3s) linked to inflammation and oil production. This is where a lot of your redness and shininess can come from. Try to stick to organic and free-range meats whenever possible. Why? 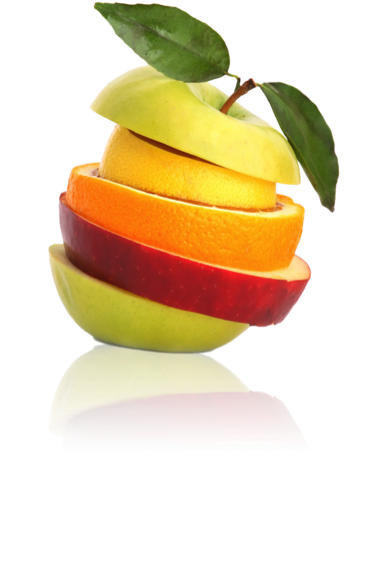 Eating a wide (and colorful) variety of antioxidant rich fruits and veggies will help your skin and body heal and protect against current and future damage caused by your environment. Eat them raw as often as possible as they are made up of as much as 96% water. As we all know good hydration is the best way to great skin. Eating raw veggies is said to be even better then drinking a glass of water because it is gradually released, unlike a glass of water that goes right through your system. 6) Eat oily fish – Salmon, mackerel, and sardines. Why? These fish are rich in omega-3 fats, which help stop inflammation, an acne and redness trigger. 7) Switch your cooking oil – Olive oil. Why? Replace your corn and vegetable oils, heavy in omega 6 fats, and replace with the heart healthy choice of olive oil. Opt for ‘Cold Pressed’ to get the most flavor and health benefits! 8) Cut down on alcohol – Why? Ok, we’re not saying not to have a glass of wine at the end of a long week ( since its actually a stress reliever for most people it’s good for your skin in that way) we’re more talking about the binge drinking. It’s been proven that excessive drinking exacerbates adult acne, eczema, and rosacea. You’re only 8 easy steps away from more beautiful, clearer, and younger looking skin! For more information regarding this research and testimonial stories check out Glamour Magazine’s November 2012 issue! We’ve all experienced the occasional break out, or even a full blown attack on our face, but have you ever wondered what might be the reason behind it? Here is some insight to the why, when, and what you can do to manage your skin issues. Follow the diagram to see where your most frequent breakouts happen. Then use the information below to help kiss blemishes good-bye! 1 & 2: Digestive System — This is typically caused by excessive amounts of fat in your diet, binging on processed or ‘junk’ food, and lack of water in your diet. Cut back on the packaged stuff and reach for more water and water dense foods like cucumbers. 3: Liver —This is the zone where allergies show up first, so check your ingredient lists. Avoid alcohol, dairy, and fried foods and make sure to get in that thirty minutes of exercise everyday. The most important thing to do is to let your liver take a break by getting adequate sleep. 6: Heart — Sometimes this can mean your blood pressure and cholesterol are high. So don’t hesitate to check your levels with your doctor. Not to mention your Vitamin B could be low. Decrease your intake of spicy foods, red meat, and try to get outside for some fresh air. Increase your Omegas 3 and 6 with more nuts, avocados, and flax seed. Don’t forget this area of your face is full of dilated pores so check the dates on your makeup to be sure it hasn’t expired and that it isn’t skin-clogging. *Come by the Skin and Body Spa and check out Jane Iredale’s line of Mineral Make-up for healthy skin! 7 & 8: Kidneys — Cut down on your coffee and alcohol intake. You need to hydrate! Drink up! Zone 9 & 10: Respiratory system — Smoking and allergies can be the cause of these breakouts. If neither of these are the cause for you your body maybe too acidic. Decrease your intake of meat, dairy, alcohol, caffeine, and sugar and try to increase your snacking on green veggies and wheatgrass juice. *Dirty cell phones and pillow cases are also popular culprits! Zone 11 & 12: Hormones — This is a classic zone for stress and hormone changes. You can help decrease their effect by getting enough sleep, keeping hydrated, eating leafy veggies, and keeping you skin clean. *Breakouts in this area indicate when you are ovulating (and on which side). Zone 13: Stomach — Up your fiber intake and decrease toxins. Try an herbal tea to help aid in digestion. 14: Illness — Break outs that occur in this zone can mean your body is trying to fight off bacteria to avoid getting sick. Zits here can be a sign that your body is fighting bacteria to avoid illness. Take a break, relax, and drink plenty of water! So next time you’re surprised with a unexpected visitor, look to your map for answers. Your body could be trying to communicate with you! However, do remember that, as with all medical issues, it is always best to see your doctor or dermatologist for a proper prognosis. You can always visit the Skin and Body Spa for a specialized facial and skin consultation. We would love to help you with all of your beauty needs!